1865. The Civil War is ending. Eighteen years after the Irish famine-ship Star of the Sea docked at New York, a daughter of its journey, Eliza Duane Mooney, sets out on foot from Baton Rouge, Louisiana, crossing a ravaged continent on a quest. Eliza is searching for a young boy she has not seen in four years, one of the hundred thousand children drawn into the war. His fate has been mysterious and will prove extraordinary. It is a walk that will have consequences for many seemingly unconnected survivors: the stunning intellectual Lucia-Cruz McLelland, who deserts New York City to cast her fate with mercurial hero James Con O'Keeffe -- convict, revolutionary, governor of the desolate Western township of Redemption Falls; rebel guerilla Cole McLaurenson, who fuels his own gruesome Westward mission with the blind rage of an outlaw; runaway slave Elizabeth Longstreet, who turns resentment into grace in a Western wilderness where nothing is as it seems. O'Keeffe's career has seen astonishing highs and lows. Condemned to death in 1848 for plotting an insurrection against British rule in Ireland, his sentence was commuted to life transportation to Van Diemen's Land, Tasmania. From there he escaped, abandoning a woman he loved, and was shipwrecked in the Pacific before making his way to the teeming city of New York. A spellbinding orator, he has been hailed a hero by Irish New Yorkers, refugees from the famine that has ravaged their homeland. His public appearances are thronged to the rafters and his story has brought him fame. He has married the daughter of a wealthy Manhattan family, but their marriage is haunted by a past full of secrets. The terrors of Civil War have shaken his every belief. Now alone in the west, he yearns for new beginnings. Redemption Falls is a Dickensian tale of war and forgiveness, of strangers in a strange land, of love put to the ultimate test. Packed with music, balladry, poetry, and storytelling, this is "a vivid mosaic of a vast country driven wild by war" (Irish Independent), containing "moments of sustained brilliance which in psychological truth and realism make Daniel Defoe look like a literary amateur" (Sunday Tribune). With this riveting historical novel of urgent contemporary resonance, the author of the bestselling Star of the Sea now brings us a modern masterpiece. 1. 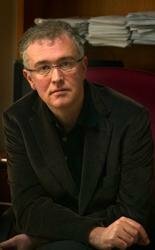 In the author's note, Joseph O'Connor explains "the book is structured around the absences of all its central characters precisely at the moments when their presences would save everything." How does this apply to each of the novel's main characters -- Eliza Duane Mooney, Jeremiah Mooney, Lucia-Cruz McLelland, James Con O'Keeffe, Cole McLaurenson, and Elizabeth Longstreet? 2. The novel includes posters, poems, letters, newspaper clippings, songs, transcripts, and other items that relate to the characters or the plot. How did these devices enhance the overall story? Were there any items that confused you? If so, which ones? What other writers use this technique in their work? 3. "She is walking to stand still, not to travel into a story" (page 6). What is Eliza moving toward; what is she walking away from? Discuss her quest -- what does her journey symbolize and how is it crucial to the novel's theme? 4. "I have known brave men. I have wished to be one of them. But conscience makes a coward of us all" (page 123). Discuss courage vs. conscience in war. How is this struggled reflected in Redemption Falls? 5. "'I loved you,' Lucia writes, 'before ever your hand touched me, before ever I saw you or heard spoken your name" (page 148). Why do Lucia and O'Keeffe stay together? What makes their relationship so tumultuous? How does the presence of Jeremiah Mooney affect their marriage? 6. "I never once did kill no man that didn't need to die" (page 209). What is Cole McLaurenson's mission and what fuels it?" Does this justify his actions? 7. "It is a horrible thing to own -- to be owned by -- a secret, and to walk about with it corroding your spirit as you go" (page 262). What is Lucia's secret? What secrets own the other main characters of the novel? 8. What is Elizabeth Longstreet's role in this novel? Describe her relationships with Lucia, O'Keefe, and Jeremiah. 9. "My collection includes forgeries" (page 443). How did this statement affect you? Do you think it is a fair technique, reminding the reader that history can contain lies? Did you have your suspicions while reading this novel? What does this say about how our history is told? 10. How are all the main characters linked together in Redemption Falls? When did the connection become apparent to you? Would any of the individual stories stand alone as a novel or are the themes of each of their stories dependent on the other characters' perspectives? 11. 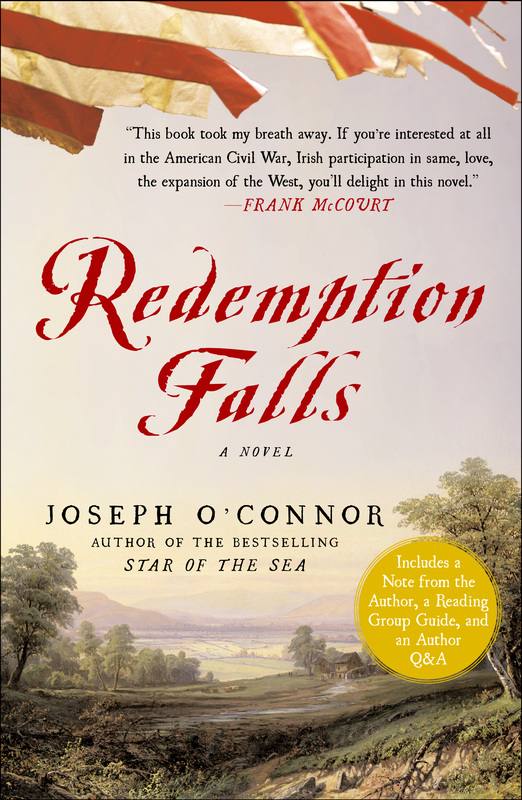 Does Redemption Falls have anything to say about America's subsequent history? Does it inform our understanding of the United States in our own era? 12. A fun question! If James O'Keeffe, Lucia McLelland, Allen Winterton, and Elizabeth Longstreet were alive today, for which American political parties or candidates do you think they would vote? And why? What do you think they would like and dislike about our own world? 2. Contribute to the professor's collection: Write a poem about the fates of the characters of Redemption Falls.